SAP BusinessObjects Mobile (MoBI) 6.6 just got released (since end of June) in the Apple app store for download. Its supported on iOS 9 and iOS 10. 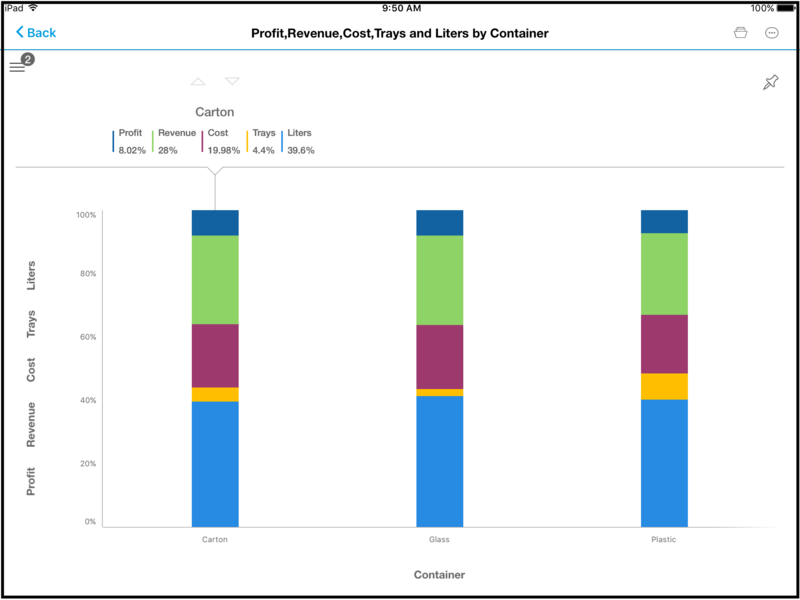 This release brings in support for SAP Lumira 2.0 SP01. Since SAP Lumira 2.0 is in the Early Adopter Care (EAC) phase, the customers who are already enrolled in Lumira 2.0 EAC can download and test 6.6 with their Lumira 2.0 SP01 stories and applications. Once Lumira 2.0 will be available for all customers for General Availability, a patch for the MoBI 6.6 will be released supporting the GA release. With this 6.6 release, you can continue to use your Lumira Server for BI Platform (LS4BIP) 1.31 as well, however the new features would be available with LS4BIP 2.0. If there are older versions of Lumira Discovery documents in 2.0 server (server upgraded from older version to 2.0), recommendation is to first migrate to 2.0 format in the desktop to be able to access the documents on Mobile. Please note SAP Lumira 1.29 and SAP Lumira 1.30 will not be supported with MoBI 6.6. The Lumira Discovery documents are supported on iPAD 3 and beyond. Not supported on iPhone/Android as yet. Discovery documents based on imported / offline data sources can be downloaded for offline usage on the mobile device with native iOS based gesture support. There are also improvements around the native filtering capability and more operators like ( Text operator ‘Exclude’, Numeric operators like ’In between’ has been added. There are additional input controls as well with the 2.0 support. 6.6 release to continue to support Design Studio 1.6 in addition to Lumira 2.0 Designer applications. 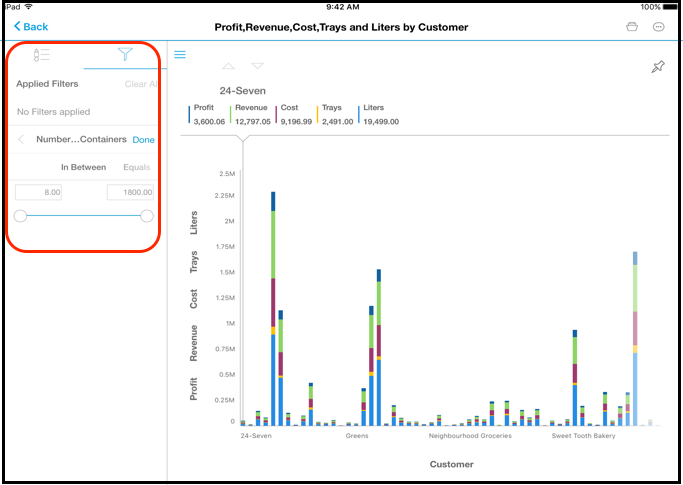 Lumira 2.0 Designer based applications can be accessed on both iPAD and iPhone. We are working on an Android patch to provide the Android support as well. The offline and native gesture support capability is limited to Discovery based documents only. With Lumira 2.0, you can create documents having both Discovery and Designer components, with 6.6 you will be access such documents on iPAD only and the access is similar to Designer (no download option and native gesture support available). Such documents are not supported iPhone and Android as yet. There are also improvements to have reduced initial launch time for Design Studio / LumiraDesigner applications through preloading of static cache. As part of this release, there are also few other enhancements that customers can already start using. Details can be found in the MoBI Developer’s guide. There are few other enhancements as well, we have upgraded SAP Mobile Platform (SMP) 2.3.5.2 toSMP 3.0 SP14. You can also read my related blog post SAP Lumira 2.0 on Mobile Devices to learn about MoBI for Lumira use cases. Refer to detailed documentation to know more about SAP BusinessObjects Mobile at the Help page.